Above the Elbow Satin Stretch Gloves Long satin stretch elbow length gloves. With 10% lycra they fit glove sizes 5-9. 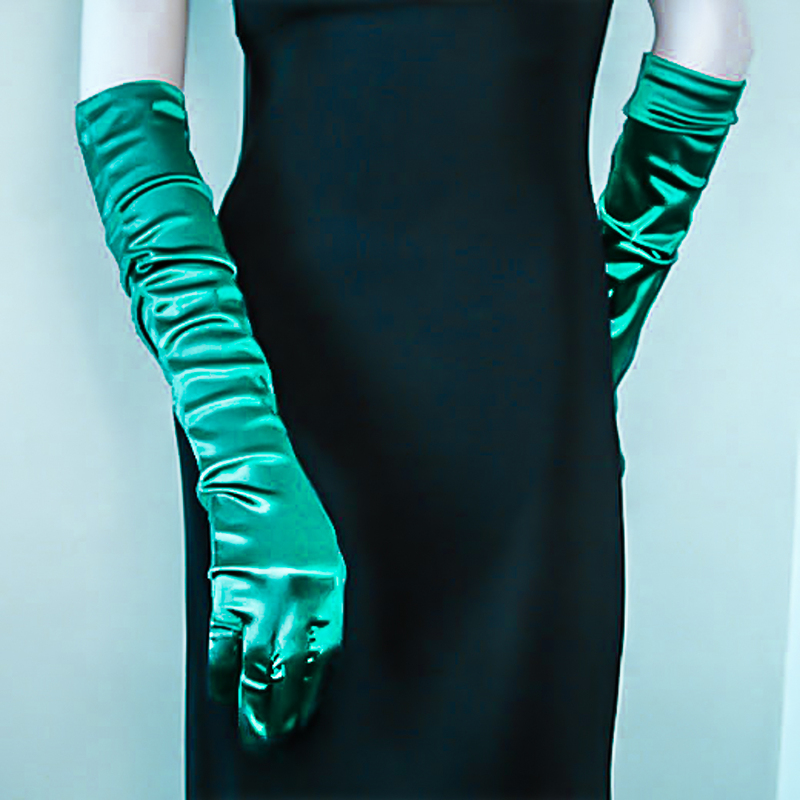 These gloves are popular for all evening events. Their button length is 12BL which is most appropriate with a long sleeveless or short sleeve dress. They work well for bridal parties, formal evening events, dinner dances, and proms. Glove size is measured in inches around the hand inside above the thumb and under the fingers. Color: green Hue: Code: #006A2A.